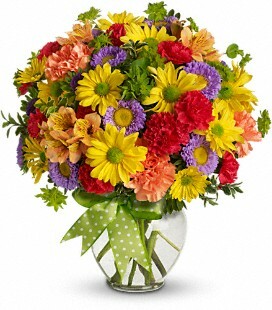 This living bouquet will make anyone's day! 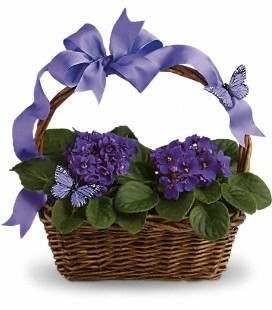 Gorgeous & fragrant assorted herb plants look perfect in this ceramic planter with rope handle and sweet butterfly design. 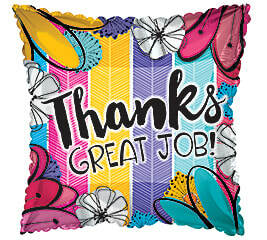 A great gift for Administrative Professional's Day and any coffee lover, just perfect for a desk. A Coffee Plant (Coffea arabica) in a decorative mini coffee mug. Style of mug may vary. 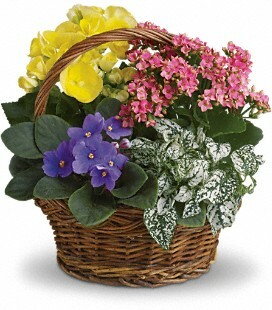 Sing a song of spring by sending this gorgeous basket full of the prettiest plants. 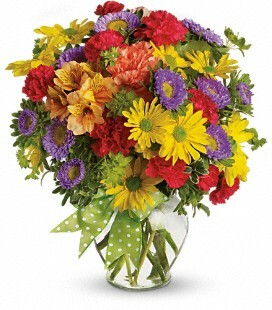 Send someone special this sweet mix of bright colors and terrific textures. Available in 4 sizes. Select size in cart. 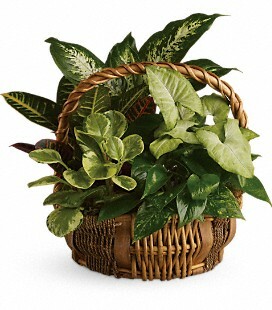 We always carry a great selection of green planters in a variety of sizes. 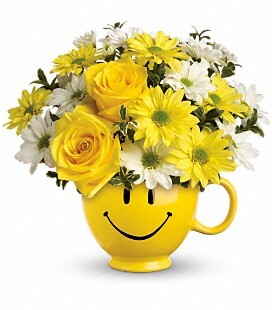 The Planters are accented with either silk or fresh flowers and a bow in a range of colors to suit the occasion. Select size in cart. 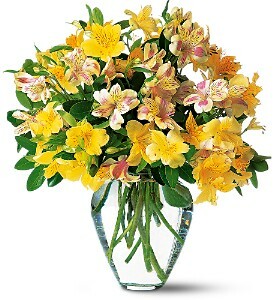 Like stars in the sky, these bright alstroemeria really sparkle. Who wouldn’t be dazzled? Colors may vary. 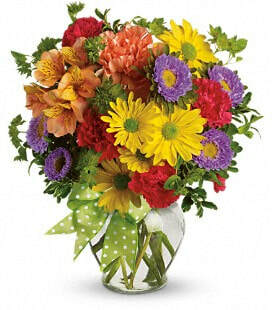 Graci's version of the alstroemeria vase also includes Babies Breath and a matching bow. 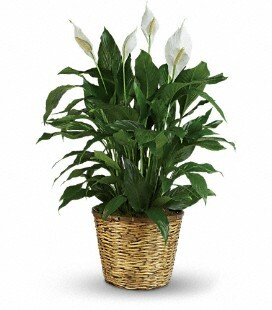 When you want to make a big impression, sending a beautiful spathiphyllum. With its glossy leaves and brilliant white blossoms, this plant is super easy to care for. 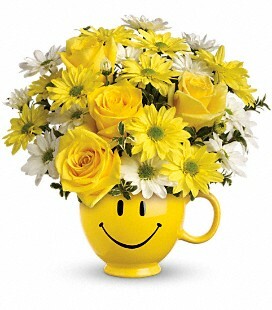 At the same time, it cares for indoor environments as well, cleansing the air of several toxic elements. It's simply elegant and simply wonderful. Available in multiple sizes. Select size in cart. Did you know: "Peace Lily" is the common name of this popular plant because of its white bloom, which is similar to the white flag of truce. 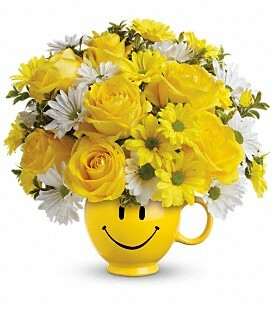 If you love beautiful blooming plants, then this is the right gift for you. 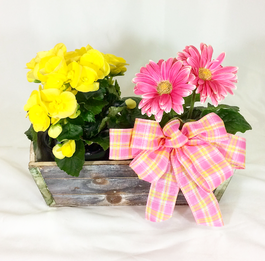 Two assorted 4" plants fill this rustic wooden basket, it's a gorgeous gift they're to love! 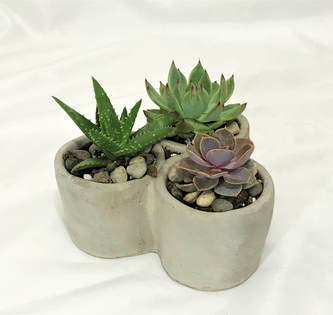 Five small assorted succulents in a decorative 15" long stone container. 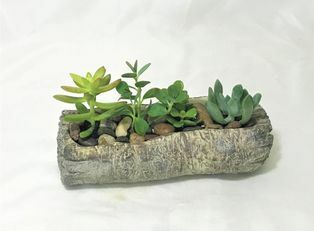 A decorative stone log planter filled with four small assorted succulents. Three small assorted succulents in a triangular stone pot.